Borton Fruit has been marketing and selling Tajin sachets for roughly 4 years now. 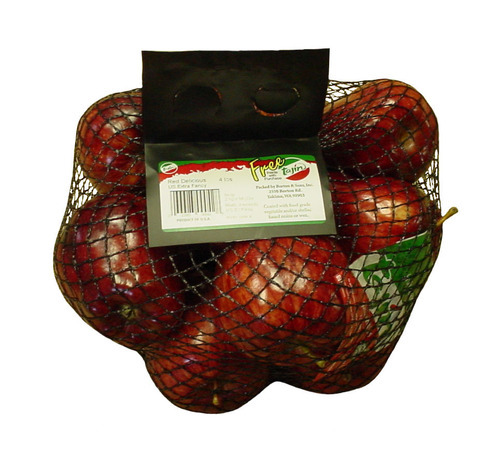 When approached with the program, we put together some Soft-Net bag opportunities with specific retailers allowing the convenience of both apples and these seasoning packets in the same bag. Each year more people seem to discover the pack as it ventures into new markets and continues growing throughout the United States. So what is Tajin? The Classic Seasoning Sachet is a delicious mix of 100% highest quality Mexican chilies with lime and salt; the perfect balance of spice and flavor. Tajin had their breakthrough in 1985 by creating a powdered hot sauce which was a completely new category in the produce market. In 1993 they had their first exports to the United States. In 2001 they re-launched and improved branding. By 2006 they started exporting to Central America and Europe. 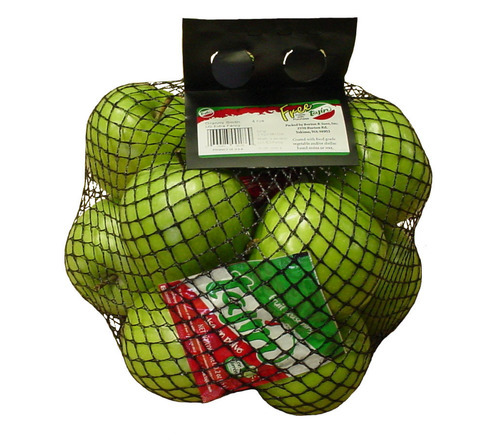 Currently today, Tajin is the market leader in the produce seasoning category in Mexico and the U.S.
Borton markets the Tajin Sachets along with any single apple variety, and even our Apple-Orange mixed fruit bag. Tajin is currently used on many other commodities and serves as a great spice to change up that flavor. We haven’t found one apple variety it doesn’t taste great with! The Demo’s will all be taking place over the next two weeks in the California Area at Smart & Final stores as well as VON’S. Make sure to find us on twitter to see the progress of these demo’s as well as their locations. They will run from February 22nd 2014 through February 24th 2014, and from March 1st 2014 through March 3rd 2014.